You have worked hard to build and accumulate your assets over the course of your life. You want to leave a legacy for your family and loved ones. But, if you don’t have a professionally designed estate plan your hard earned wealth could be diminished or spent on post death expenses like probate or estate taxes. The old saying that “if you fail to plan, you plan to fail”, is especially true of estate planning. A great estate plan takes into account your values and your goals for you children and grandchildren. 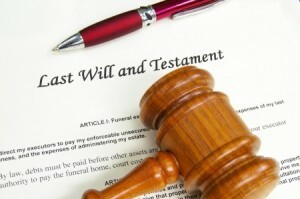 Having a will may not be enough of an estate plan in today’s ever-complicated world. An estate plan provides a financial road map for while you are living, and not just disperses your assets after you are dead. Call an Oklahoma City estate planning attorney today to get started on planning for your future. Probate is an expensive and time-consuming legal process where a court oversees the distribution of your assets after you die. However, through careful planning probate may be minimized, or even avoided entirely. The Wirth Law Firm has an Oklahoma City estate planning attorney ready to share with you the strategies you can use to protect your assets, and shield them against estate taxes and probate to the legal amounts allowed. If you have questions about wills, revocable living trusts, or any other estate planning documents, get in touch with an estate planning lawyer today. Estate plans are not only for the wealthy. Everyone needs an estate plan. A well-done estate plan provides an understanding of you current and future finances. An estate plan can make sure your children are taken care of the way you want them to. You can nominate a guardian for your children and even make provisions for pets. An Oklahoma City estate planning attorney can help you safeguard what you have and guide you to other choices that may help grow your legacy for future generations. For a free consultation with an Oklahoma City estate planning attorney call the Wirth Law Office- Oklahoma City Attorney at (918) 213-0950. You can also submit an email question from the top right corner of this page. We will respond as quickly as possible to all questions.